The 4.1 sound system offers 110 dB of powerful surround effect, allowing you to enjoy action-packed movies and games to the fullest. The pedestal might leave marks on certain floors. 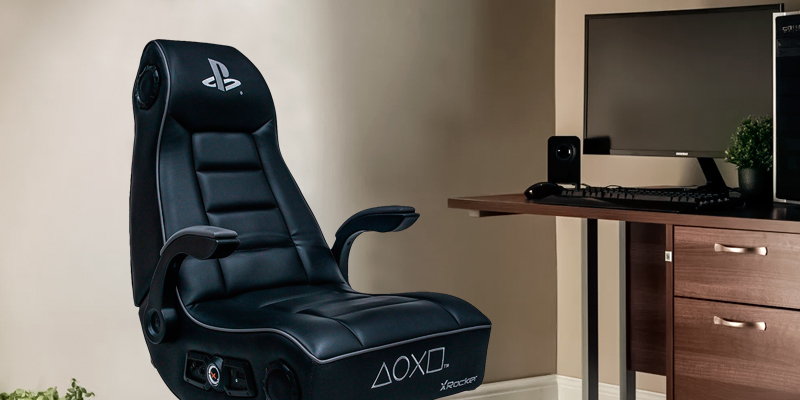 This is a chair designed with Sony PlayStation owners as the main target (it even has a Sony logo). The delivery package includes a DAC-Transmitter that provides wireless sound transmission via your PS's USB and Optical ports. The side inserts effectively support your back and spine in the most healthy position as you sit. High-density foam has a memory effect and shapes itself according to your body. The red piping could be done better. For those to whom watching movies on the laptop or tablet is one of the most favourite things—this model will be your perfect choice: two speakers and a powerful subwoofer will immerse you in the action on your screen. This computer gaming chair has a built-in 4.1 audio system with a dual control panel. It is the easiest thing ever to adjust vibration, volume, or control the subwoofer in the headrest. The light upholstery might require frequent cleaning. 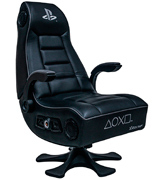 The Deluxe model is the best X Rocker gaming chair for utmost comfort during long sessions with your PS4. It has 3 vibration modules, soft armrests, an adjustable stand, and ergonomic pillow for your lower back. The chair does not need assembling—unpack it, connect the headset, and enjoy! 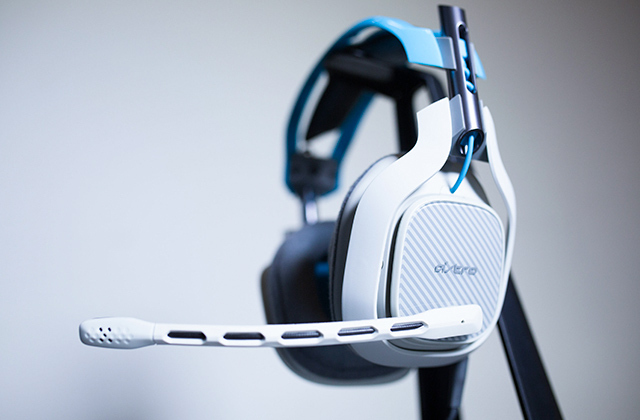 Lightweight and easy to drag around. To maintain its looks, just wipe it with a slightly wet cloth. 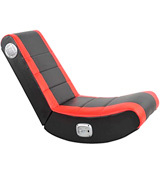 A stylish red-and-black computer gaming chair. The sound system is located in the headrest to provide what can be called a truly immersive experience. 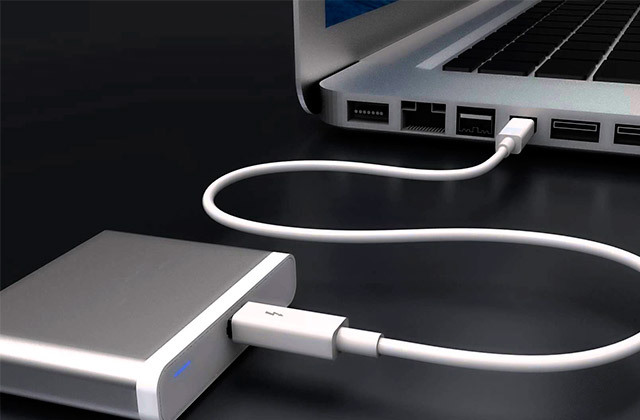 All the necessary ports are conveniently placed at the side. 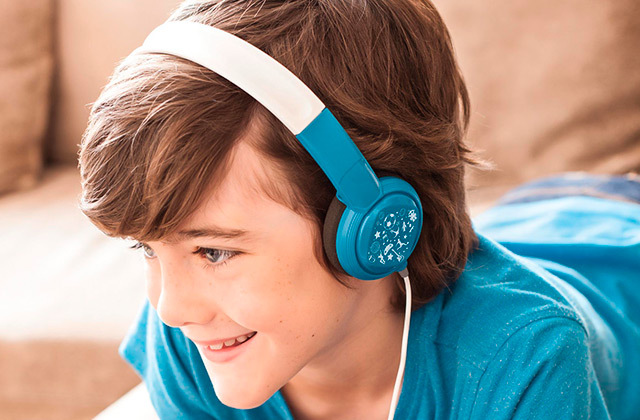 The built-in Bluetooth adapter will transfer the sound from any Bluetooth-enabled multimedia device without troubles and tangling wires all over the room. Mesh on the armrests might fray. 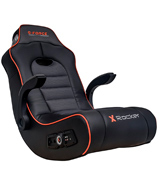 The X Rocker Mission gaming chair is an inexpensive and practical model and will be appreciated by anyone who uses a console with a big LED TV. 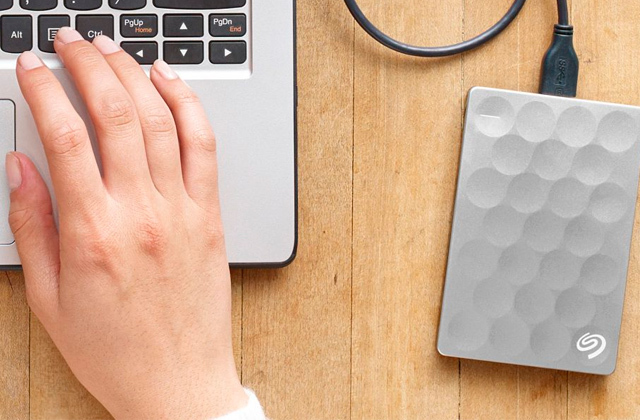 You will easily sprawl on it and relax. 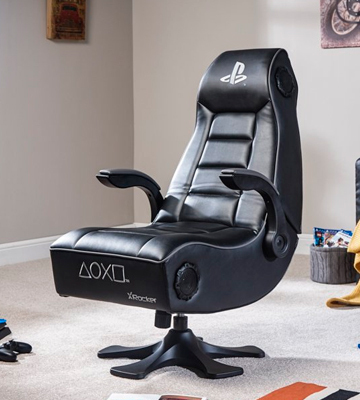 The X Rocker Infiniti PlayStation gaming chair is an officially licensed chair for PlayStation® players, though, of course, it is not limited to the PS only (it does work with Nintendo Switch and XBox 360, for example). Its biggest pro is, in our opinion, the audio system mounted in a headrest. With the sound bumping into your head from behind, it's the most surround effect possible, you'll dive headfirst into the atmosphere of the game. Add here the vibration accompanying every significant action and you're immersed up to your metaphorical gills. When you play racing games, you'll feel like you're actually racing. Well, sans the smell of gasoline, maybe. Please don't add the actual gasoline just to smell it. The chair comes with a steady pedestal that keeps the chair from falling when it vibrates and you move ('cause many of us do that a lot in the heat of the game). The pedestal has a swivelling and tilting mechanism. We'd say that maybe the wheels and the adjustable pedestal height would be of use sometimes but those are fairly minor cons and pros overshadow them thoroughly. The wireless connection is performed via Bluetooth: the X Rocker Infiniti Playstation gaming chair comes with a DAC transmitter that connects to virtually any gaming console. Or you could use RCA/optical cables. The faux leather upholstery and high-density foam make sitting in this chair a comfortable and relaxing experience even if you play for hours, and the stylish design is a feast for the eyes. 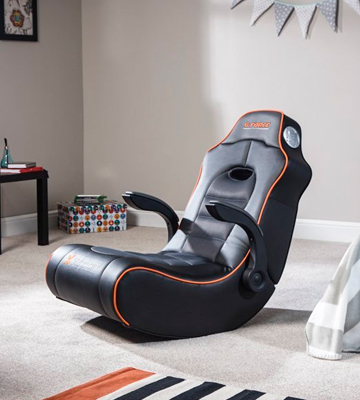 First of all, this X Rocker gaming chair is named after a team of FBI secret agents who are actually guinea pigs and that alone is a reason to buy it. Okay, no, kidding, it's not actually named after guinea pigs (probably), the "g-force" is also the acceleration in relation to free fall, a term you sometimes might encounter in scientific talks about Formula One cars, dragsters, rockets, jets, and even some amusement parks attractions. Whatever. The key thing here is that the term is related to acceleration and speed. 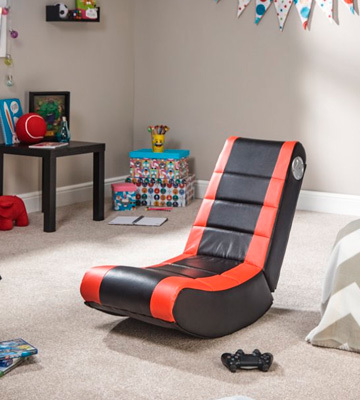 And this gaming chair is modelled after a racing car seat so here's that. 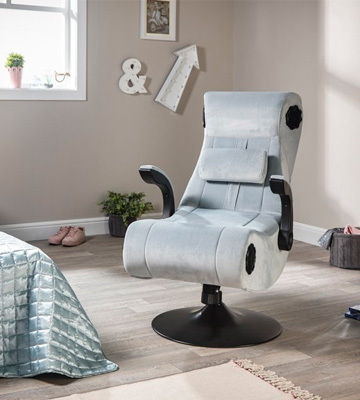 The X Rocker G-Force is a floor rocker (so no pedestal) with a 2.1 audio in it—it has an audio system in its headrest and a subwoofer in the backrest. It also has adjustable armrests and an overall construction that will keep your back in a healthy position during the hours you spend watching a movie with your tablet or laptop or playing your XBox. 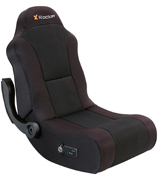 By the way, this X Rocker gaming chair is compatible with any consoles, from PS3 to 3DS, Wii, and XBox one. The connection is made using either RCA or mini-jack inputs, however, so if your TV has no such outputs you might need a converter, which is not included (but the RCA cable are). The chair is sturdy thanks to a steel frame and is filled with foam with memory effect for enhanced convenience; it can also be folded for simplified storage. 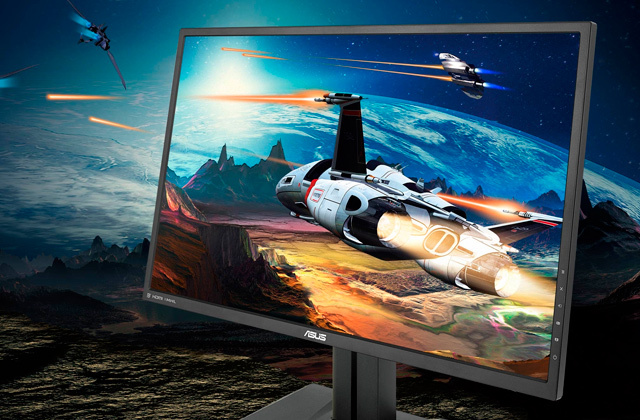 All in all, one of the best options for lengthy gaming. For those seeking somewhat lush looks in a computer gaming chair, here's your stop. 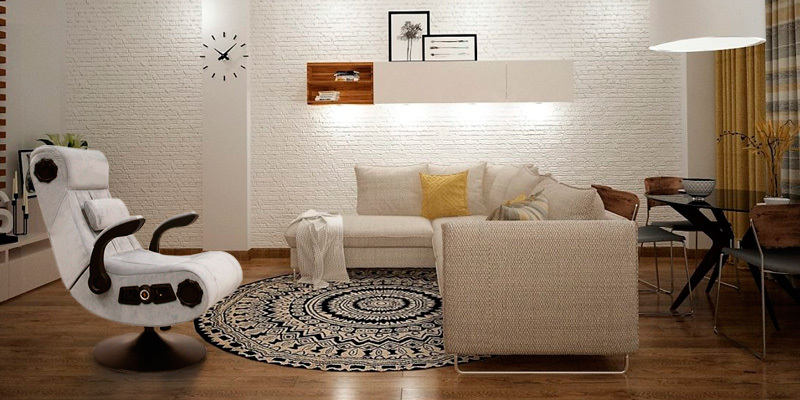 The X-Rocker Deluxe 4.1 model is pleasant to the eye with its light-grey chenille upholstery, nice to the touch, it will become the centre of your room easily. But looks are not the only thing this chair offers. 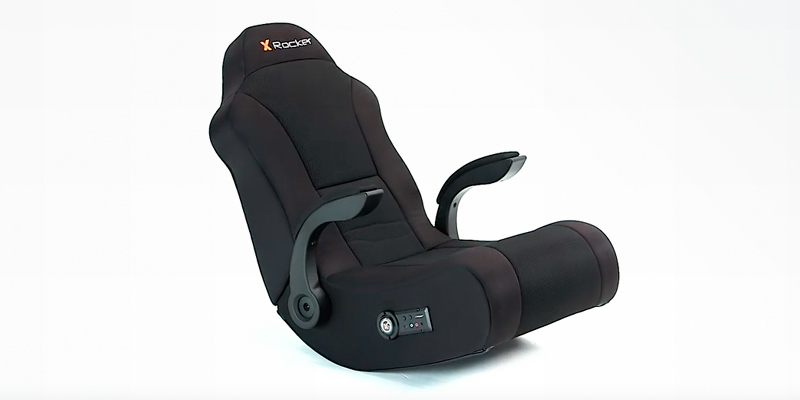 The X-Rocker Deluxe is a gaming chair featuring a 4.1 audio system, meaning it has 4 drivers and a subwoofer. The sub is located in the headrest to make the low frequencies more booming and impressive. 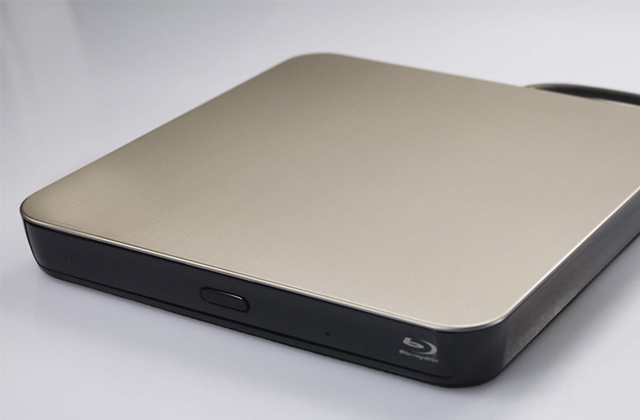 There is a dual control panel for added convenience and a DAC transmitter for top-notch compatibility. 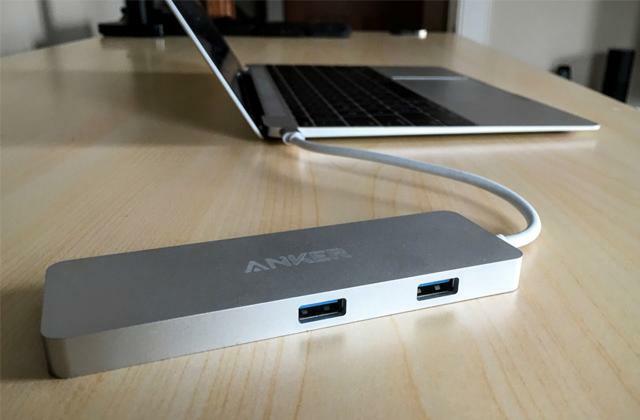 You can connect just about any device, be it a PC, a PS4, or an Xbox. 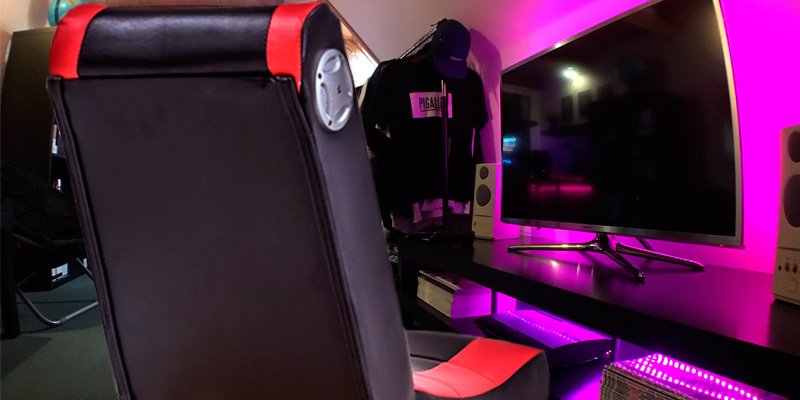 Inside this computer gaming chair, there are three vibration modules to further enhance the experience with your favourite games as well as a nice pillow for your lower back to allow you some relaxation at the end of the day when you need it most. The armrests are padded with the same material as the upholstery, it is soft and comfortable to lay your hands on. 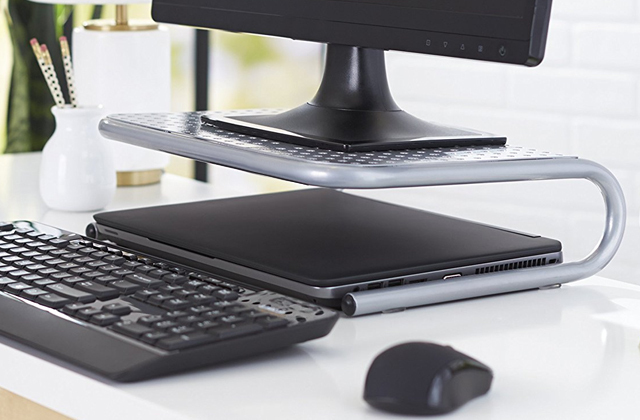 The model also has an ergonomic pedestal base stand that makes it more stable, preventing accidental falls even if you happen to be a very passionate person who moves a lot when deeply engaged in the gaming process. The Flash Rocker reclining gaming chair is a more or less budget option if we're considering a dedicated gaming chair. 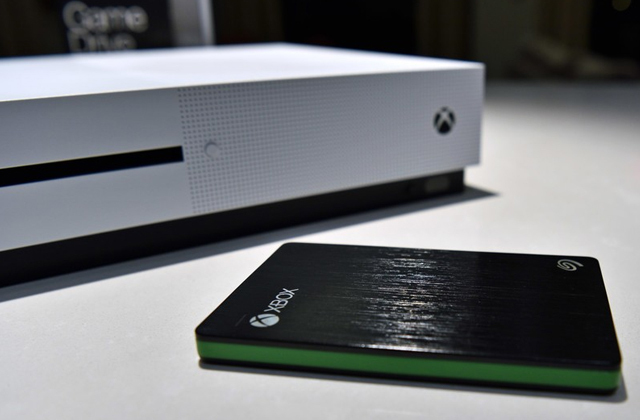 It is also pretty simple and is more suited for console gamers than those more into desktop computers. The reason for that is that there is neither stand nor armrests with this model, it simply lies on the floor where you can set in the most comfortable position with your PS4 or Xbox. 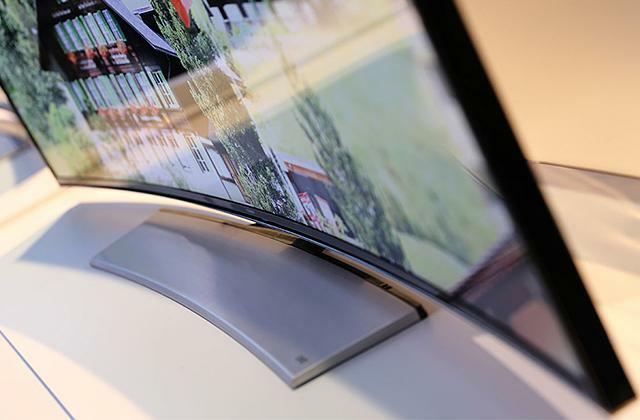 It is also foldable and unexpectedly lightweight, making it easy to set aside when you don't need it and drag around to sit in a corner with a book or in the centre of the room before the TV set when you play. Does not need assembling as well. The audio system in this computer gaming chair is 2.0, hardly a surround sound. But it is pretty decent and might be quite enough for a small or medium room where there is no real need for too much volume or depth. A subwoofer would be nice, though, at a price under £200, we didn't really expect one. The other feature important to gamers is the vibration and it is present in this model, so you can enjoy your games with this deepening your dive into digital worlds. The reclining chair is made in black and red faux leather, it looks aggressive and needs little to no cleaning—just wipe it with a wet cloth from time to time. The X Rocker Mission gaming chair is quite a deep one. So much so that you will be able to easily sit there sprawling and won't feel stiff and "caged" even if you are a tall and maybe somewhat bulky individual. The chair can hold a person of up to 125 kg of weight. It is also foldable, so when you don't need it you simply collapse it and store away. 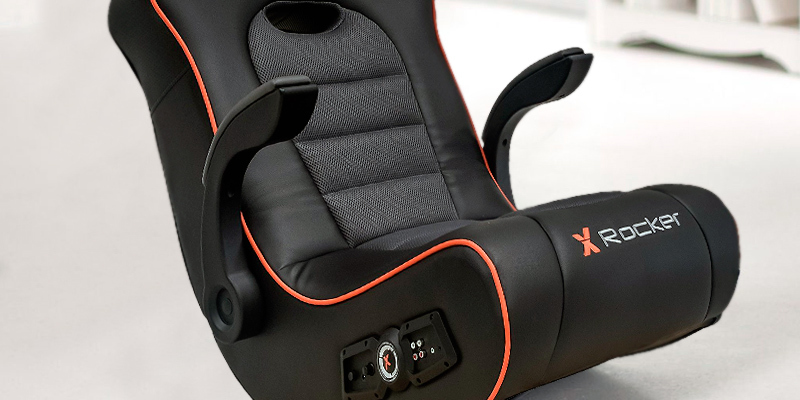 Like most rocking chairs by X Rocker, the X Rocker Mission chair has a built-in audio system; 2 speakers will make your gaming more immersive by amplifying the sound in a strategic direction. There is no subwoofer, though, so maybe an action-filled film with low-frequency sound will appear somewhat lacking but otherwise, the chair will provide a great audio accompaniment. This chair is wireless, it is equipped with a built-in Bluetooth, making it possible to avoid tangled cables and cords when you play. If the gadget you play with lacks Bluetooth, you can use a mini-jack input instead, there is a cable included for that. The X Rocker Mission is an inexpensive yet high-quality gaming chair that can be used for a variety of leisure activities, from actually gaming (it is compatible with most gaming consoles) to reading a book, watching your favourite TV-shows, or just chilling around all weekend coping with a past week full of stress and accumulating strength for whatever life has for you next. 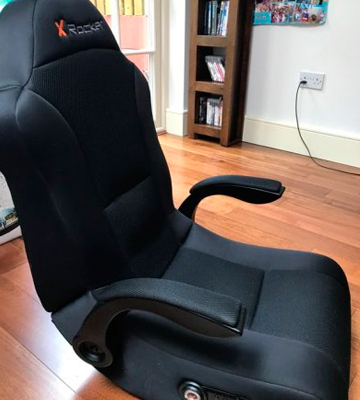 What Is an X Rocker Gaming Chair? We live in a time when professional gaming and streaming becomes more and more popular and accessible. With all this popularity, a variety of different byproducts has been already invented and more is being developed to this day. One of them is a gaming chair. The product is made specifically for the needs of gamers and these people are known to be the toughest (or most demanding) customers out there. 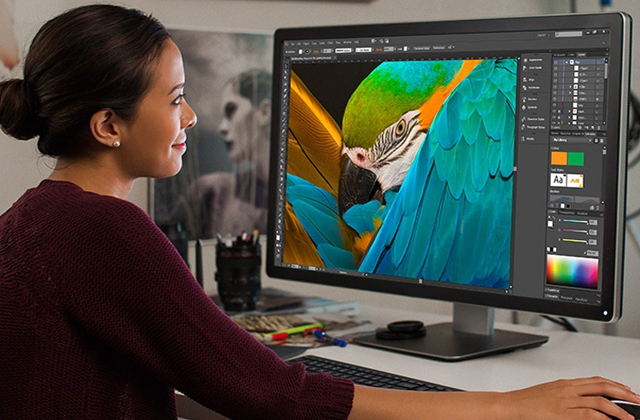 Many brands offer many comfortable and stylish products for different purposes, be it either PC or console gaming. As a rule, they come with an array of overpriced features and are affordable only for top-notch ESL cyber gamers or streamers. But there is one company that can deliver the same level of quality as the top brands. 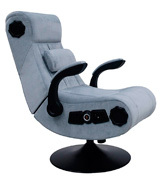 Gaming chairs from X Rocker can offer a plethora of useful features such as wireless connection to gaming systems and TVs and built-in audio systems that provide a remarkable quality of sound that can surprise even more sophisticated movie and music fans, who know a thing or two about sound quality. The materials used in the X Rocker chairs always last long and are easy to clean. Their products are made for people who value their time spent playing games or watching movies and the company always makes sure that this time will be spent well. 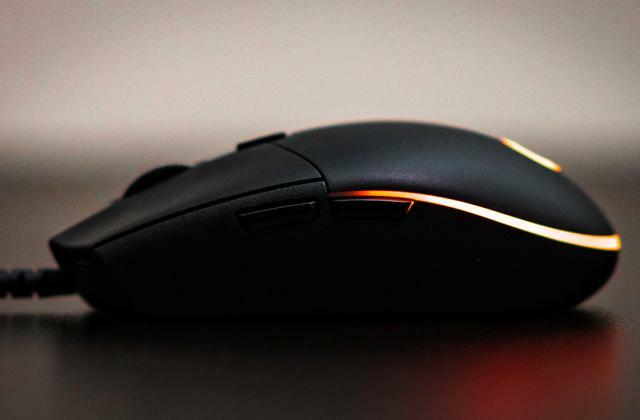 To make your gaming sessions even more comfortable you might want to pick up a mechanical keyboard and a gaming mouse. 2. X Rocker Nation, X Rocker Official UK Website. 3. How to Sit at a Computer, wikiHow. 4. Shraddha Rupavate 6 Health Benefits of Ergonomic Chairs at Work, The Health Site. August 1, 2016. 5. Five Things You Can Do If Gaming Is Causing You Back Pain, Game Skinny. January 16, 2017.